ALERT has received a further appeal about the potentially catastrophic threat to European vultures, by Dr Ralph Buij, a biologist affiliated with Alterra at Wageningen University in the Netherlands and a member of the IUCN Vulture Specialist Group. 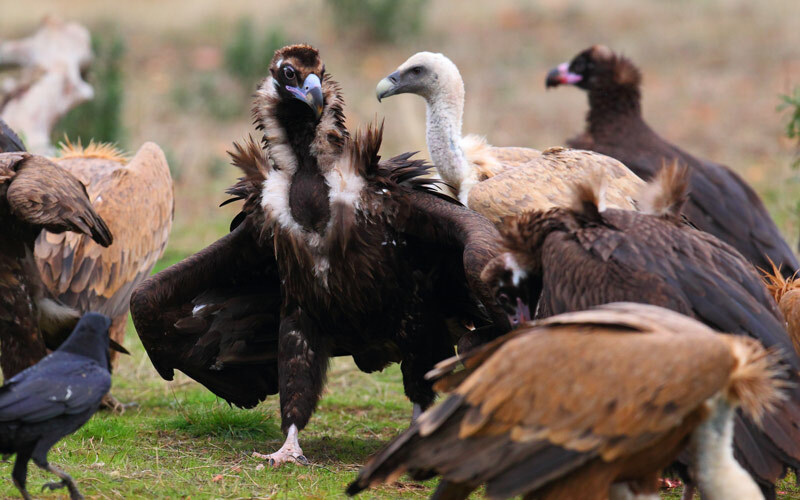 Cinereous and Griffin vultures scrapping in Spain (photo by Ralph Buij). After widespread and severe declines of important vulture populations in Africa and Asia, the conservation community in Europe is shocked to learn of the authorization of veterinary anti-inflammatory drug Diclofenac in Spain and Italy. Diclofenac is the drug that brought Asian vultures to the verge of extinction. Vulture populations in Africa and Asia have been reduced to mere fractions of their former numbers. In Africa, strong declines have a variety of causes from loss of habitat and food resources, persecution, poisoning, to the use of vultures in the traditional medicine trade (Ogada et al. 2012). The Asian vulture crisis was attributable to unintentional poisoning from Diclofenac, which was regularly used in the 1990s to treat cattle in India, Pakistan, and Nepal. Vultures die from the consequences of kidney necrosis, resulting in reduced excretion of uric acid, usually within a few days of eating tissues of cattle treated with a veterinary dose of diclofenac (Pain et al. 2008). Within a decade, Indian vulture populations declined from tens of millions in the early 1990s to only 1% of those numbers today. The costs of the vulture decline, which led to an increase in human rabies infections due to exploding feral dog numbers feeding on livestock carcasses, was estimated at US$34 billion in India (Markandya et al. 2008). Now that vulture populations in Asia and Africa have collapsed over huge areas, European vulture populations are some of the strongest after decades of work and many millions of euros invested in their conservation. 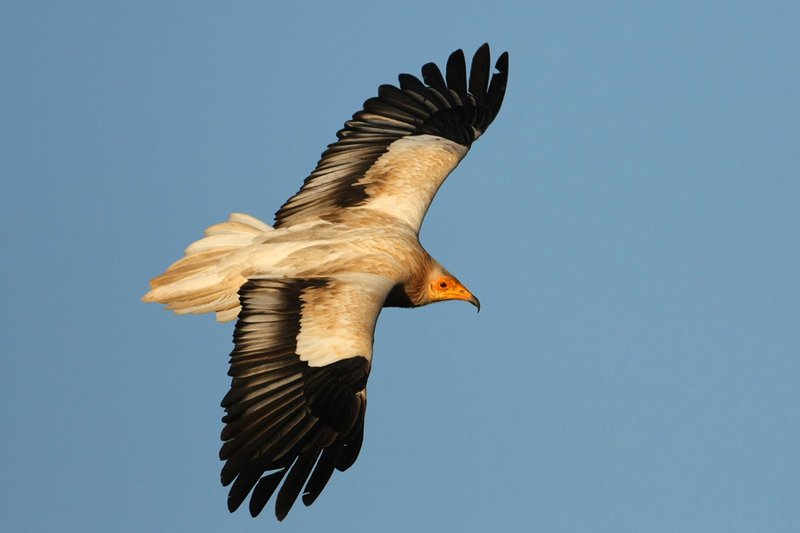 Still, the Egyptian Vulture is threatened with extinction and listed as ‘Endangered’ on the IUCN Red List of Species and the Cinereous Vulture is listed as ‘Near Threatened’, while Griffon and Bearded Vultures have only recently recovered from very low populations after decades of conservation efforts. Some of the largest populations of European vultures breed in Spain, which is therefore critical to European vulture conservation. The EU and its Member States have a legal obligation to conserve all vultures under the EU Birds Directive and to avoid ecological damage under the EU Veterinary Drugs legislation. Rather than allow its use, the EU should act immediately and ban veterinary Diclofenac from the EU market. Given the environmental disaster this drug has proven to be, further efforts should be made to globally ban its use in veterinary medicine. Please sign a petition here for an immediate ban on veterinary Diclofenac. European colleagues are asking for our help to stop the legalization in Europe of the drug diclofenac, which has already devastated populations of carrion-eating birds in India, Nepal, and Pakistan. Egyptian vulture poisoned... Rachel Carson would be aghast. Please sign this online petition (it just takes a second) and use Facebook likes and other means to transmit this plea to friends and colleagues. Diclofenac may soon be legalized in Italy and in Spain, which supports 80% of Europe's vulture species, including the endangered Egyptian vulture. The killer drug is used as an anticoagulent for livestock but is deadly to carrion-feeding birds. Vulture populations in the Indian Subcontinent declined by an estimated 99% as a direct result of diclofenac. Populations have slowly begun recovering there following a ban on diclofenac in 2006.